The vCenter Server Appliance has come a long way since its release in vSphere 5.0. It’s gone from “I think it will be a good solution for my lab” in vSphere 5.0 to “wow, I can support as many hosts and clusters as Windows!” in vSphere 6.0. vSphere 6.5 introduces the new era of vCenter, with the vCenter Server Appliance becoming the go to for all of your vCenter deployments. While there is a whole slew of new features the vCenter Server Appliance brings to the table in vSphere 6.5, let’s talk about one of my favorites, VMware vSphere Update Manager, fondly known as VUM. VMware vSphere Update Manager has been around for quite some time, and has evolved since the 1.0 days, with most of the core functionality in tact. vSphere Update Manager seeks to provide administrators with an easy way to upgrade their ESXi hosts, and provides the bonus of VMware tools and virtual hardware upgrades. Upgrading ESXi hosts can be something which falls by the wayside in many organizations, especially if the environment “runs just fine!”. Until now, vSphere Update Manager had to be deployed on a Windows based server (either on the vCenter server itself, or a separate server based on the size of your environment). As people got excited about the VMware vCenter Server Appliance, they began to ask for a vSphere Update Manager Appliance. VMware was happy to respond to this, and make it even easier to deploy vSphere Update Manager as we will soon see. Another long standing issue was the C# client was needed for some vSphere Update Manager activities. While vSphere 6 brought some abilities to the web client, the bulk of remediation was still done inside of the C# client. This had the potential to impact the adoption of both vSphere Update Manager (No, we want to use the Web Client as much as possible!) and the vSphere Web Client (Why bother if we still need the C# client for VUM?). Luckily, vSphere 6 U1 brought us the full set of capabilities we needed to get to the world of the Web Client. That, however, doesn’t mean every organization adopted vSphere 6 U1. With vSphere 6.5, we have finally got it all. Fully functional integration to the Web Client, and fully functional integration into the vCenter Server Appliance. There are many, many compelling reasons to move to the VCSA with vSphere 6.5, and there is even a migration utility to make that move. The most compelling for many is native vCenter High Availability with the VCSA only. That’s right, no more need to battle with the age old question, “What happens if vCenter fails?”. One important fact to note is that High Availability is not the same as Disaster Recovery, which Emad Younis mentions in his VCSA 6.5 What’s New Rundown, which may put you over the edge if you are on the brink of moving to VCSA. When you deploy the VCSA 6.5, vSphere Update Manager is deployed and enabled by default with your installation, which is then easily managed by the new and improved vSphere Web Client. In this case, VCSA will share the same vPostgres database with vSphere Update Manager, however each component will have its own instance. If you need to restart the vSphere Update Manager service for any reason, that can be done easily from the Web Client. This takes the management of vSphere Update Manager to the next level from previous versions. vSphere Update Manager is also capable patching vSphere 5.5 and 6.0 hosts, as well as upgrading them to vSphere 6.5 to start you on your migration journey. 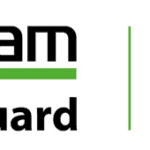 Speaking of your journey to vSphere 6.5, there is good news if you are running the Windows based vCenter or vSphere Update Manager…or even if you have already migrated to VCSA and are using VUM on a Windows server (as long as you are using a 64 bit version). If you are already running VCSA, the migration from 6.0 to 6.5 will handle your VUM migration for you. You can find the supported migration configurations in the VMware vSphere 6.5 Documentation Center. vSphere Update Manager 6.5 integration to the vCenter Server Appliance will certainly help those organizations who have not yet seen the benefits of vSphere Update Manager. For those already using it, it will enable them to streamline their vSphere operations even further. Stay tuned for more details as the adoption of vSphere 6.5 begins! If you have an ESXi upgrade in your future, be sure to take a look at Upgrading ESXi Using vSphere Update Manager 6.5 on the vCenter Server Appliance. Ready for vSphere 6.7? 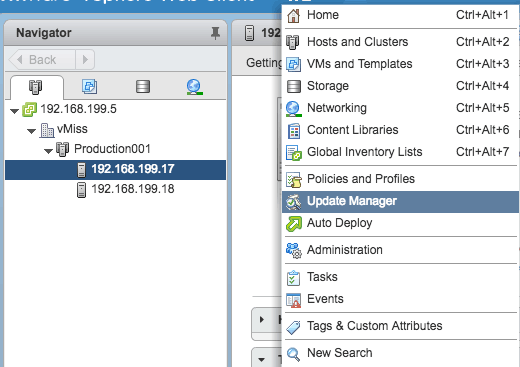 Find out How to Upgrade to ESXi 6.7 Using VMware vSphere Update Manager.